Color plays a crucial role in good design. However, when you’re working on many different projects at the same time, you just forget about it and keep using the same color scheme you usually do. It’s safer because you already know it works well, and you simply don’t have enough time to do it. However, as a designer you need to be creative and test different things. It’s actually fun playing with colors to see what new color you can come up with, creating new color schemes or a color palette for that special client you’re working for. 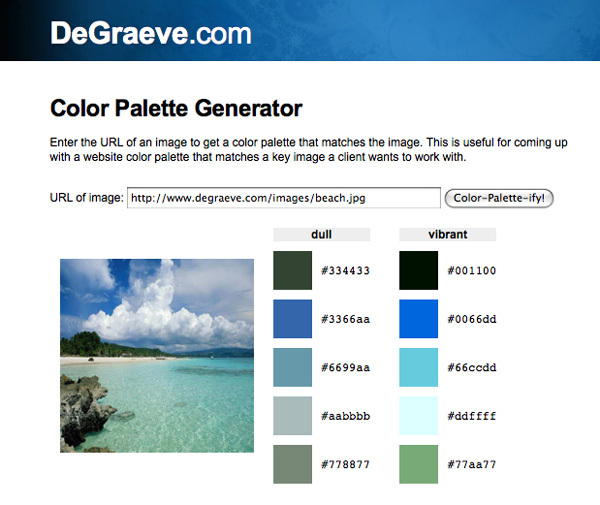 Color Palette Generator couldn’t be any easier to use. How many times have you found yourself trying to figure out the exact color on a particular image? Well, Color Palette Generator is the answer to this. You just go to the website and upload your image and this tool will tell you all the colors the image uses. The Combo Library is the perfect tool to find different color combinations for your project. Sometimes you just need to see one color next to the other to see if they match. And this is now possible with this tool. They have many different color combinations waiting for you to check them out. 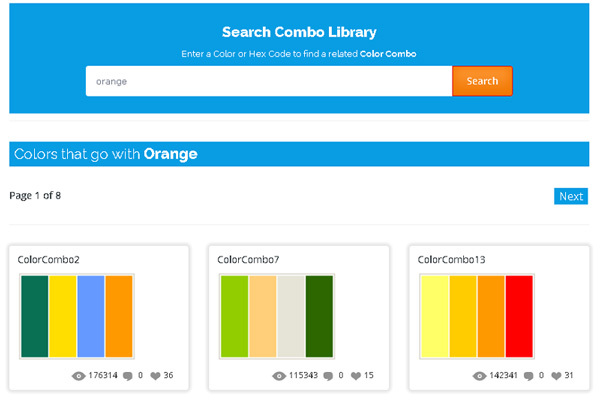 You can even search for one color you want to use in particular, and The Combo Library will show you the best matches. Check My Colours is the tool you may want to use to check if your background and foreground combinations have enough contrast when viewed by someone who has color deficits. 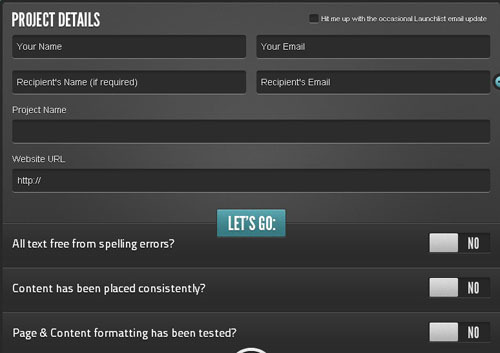 This tool will allow that the website you’re designing can be viewed by everyone. 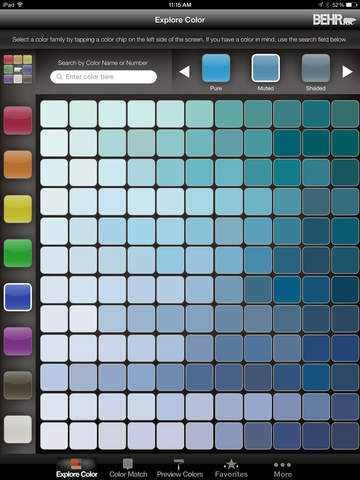 The ColorSMART App is an app available in the App Store and allows you to find colors in a very easy way. Since it uses a large grid of colors, you can use your entire screen to see them, instead of just a tiny circle. When you select one color, you’ll be able to see the HGB, Hex, and HSLA values. Another feature of this app is that you can create your own palettes of colors to see if they work well together. 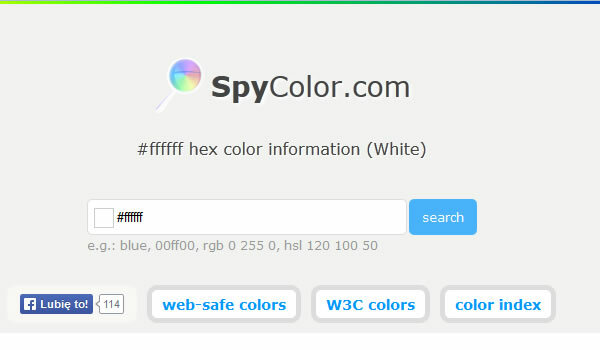 SpyColor.com is a great free service that allows you to convert any color to the most different color models like RGB, CMYK, XYZ, CIELUV, CIELAB, CIELCH, HSL, HSV, xyX, YIQ, and Hunter Lab. You can also find in each color page a range of schemes like triadic, complementary, split-complementary, five-tone. tetradic, analogous, clash, and monochromatic colors. With Designspiration, you can see what colors you’re looking at. By displaying a full-page palette, you may select up to five hues. Then, the tool shows you all the images they have in their database based on your color combination. A great feature is that they include the hex numbers prominently, and you can click on them individually. You are also able to save the images on the website. 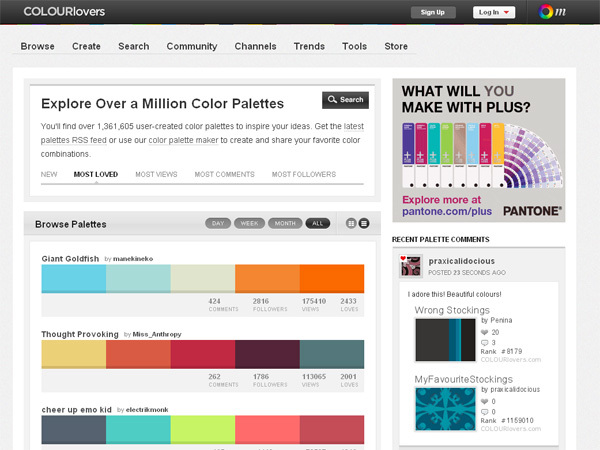 Many people think about COLOURlovers as the Pinterest for colors. COLOURlovers is a great community where you can share your color palettes, colors, and patterns. It can also serve you as an inspiration by seeing other palettes shared by their users. If you like to play around with colors and palettes, you’ll simply love COLOURlovers. We just had to have an Adobe product here. You might know Adobe’s Color Wheel by its former name, Adobe Kuler. 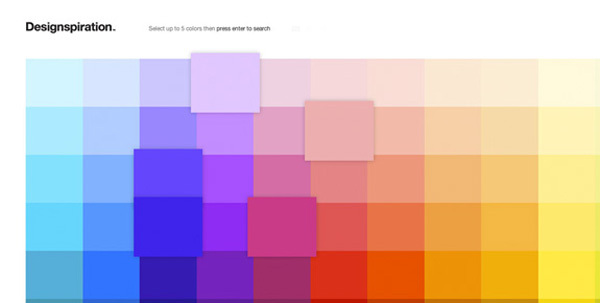 This is an online tool that allows you to generate a color palette. Although any designer can use it, this tool may be especially helpful for designers who use Adobe CC. If that’s your case, you’ll be happy to know that you can save the color palettes you create here and upload them directly to your CC programs as swatches. This will allow you to save some time. 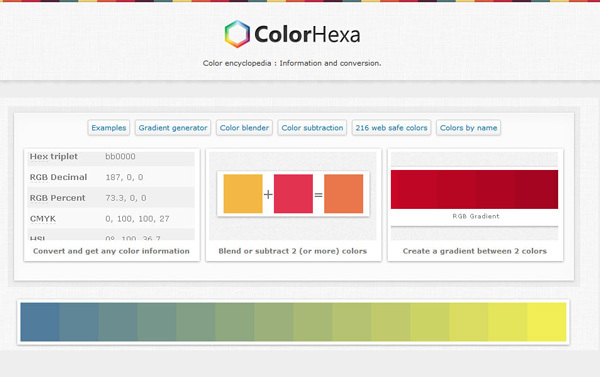 Color Hexa is much more than a simple palette generator. Its creators refer to it as a “color encyclopedia” and they’re actually not too far from the truth. With Color Hexa, you’ll get a lot of different information just by entering a single color value. The information you get includes alternative colors, composition information, previews of the color in various design elements, and various sample color schemes. Color Picker by HTML Color Codes is an amazing tool and it’s very easy and intuitive to use. 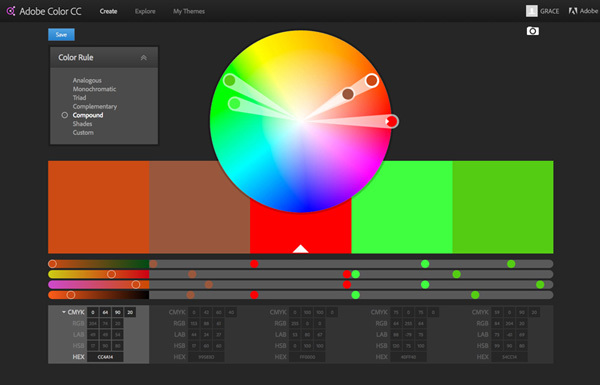 With Color Picker, you’ll know the RGB, Hex or HSL values of any color you want, with just a single click. Then the Color Picker shows you various color schemes and shades which are based on the harmony relationship of your choice. But Color Picker goes even beyond. It allows you to export the website color screen you just created in RGB, HTML, Hex, CSS, and sCSS formats. Cristopher Burge is a full-time writer, with a focus on technology and business-related articles. He is also the editor of CloudStorage101, an online platform focused on reviews, guides and other useful tidbits regarding cloud storage services - basically, everything that's related to cloud computing in one way or another.